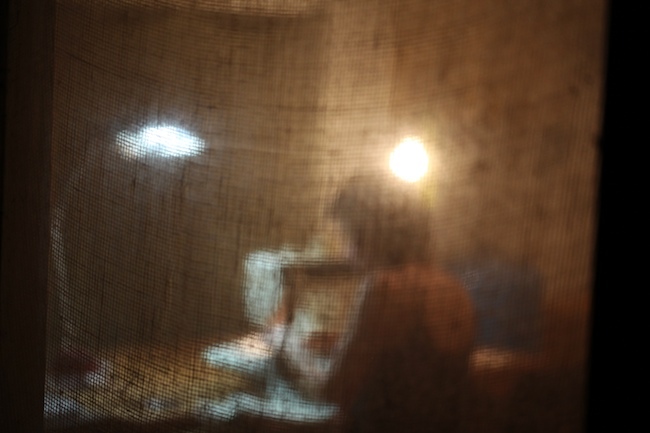 I shot this portrait of Maria working at her sewing machine her Studio after it got dark, and it was shot through the gauze she hangs up to keep the sunlight from pouring into her workspace. I love this shot, as it captures Maria without actually showing her face. And it’s dreamy, a new kind of shot for me. The pincushion started it.